The value of wages in real terms has been falling consistently since 2010, the longest period for 50 years. The decline, which means that the cost of living is outstripping salaries, was attributed to low growth in productivity, or the goods and services that are produced in relation to the workforce. This comment appears here too. MAIL ONLINE: Eurocrats sparked fury last night by ordering the UK to double dole payments. The Council of Europe claims the handouts given to Britain’s jobless are ‘manifestly inadequate’. Ministers have been told they are in violation of the European Social Charter – potentially opening the door for claimants to take the Government to court to get more money. But ministers say obeying the diktat from the Council, which oversees the controversial European Court of Human Rights, would cost the UK billions of pounds and plunge efforts to reduce the deficit into chaos. To comply, Jobseeker’s Allow- ance (JSA) would have to be hiked by £71, from £67 to £138 a week. 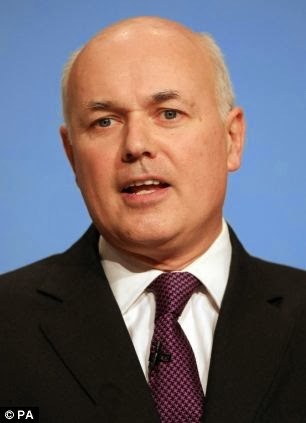 Last night Work and Pensions Secretary Iain Duncan Smith accused the Council of Europe of ‘lunacy’. Afshin Rattansi goes underground with former head of regulatory risk at HBOS, Paul Moore, to investigate whether bankers have learnt their lesson since the bailout. We ask Friends of the Earth's Jane Thomas if energy multinationals can frack under your house without planning permission. We get to the bottom of why an MP tried to claim expenses for not voting at the Syria War debate in parliament. And David Cameron spends millions on trying to uncover the faces behind 'Anonymous'. Ministers rushed through pro-fracking planning reforms without proper scrutiny and despite overwhelming opposition, a Lords committee has found. 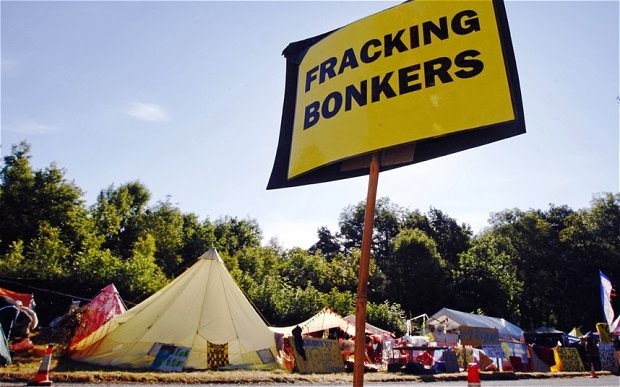 Under the reforms, which came into force as secondary legislation earlier this month, homeowners will no longer be individually notified of a planning application by an energy company seeking to drill or frack beneath their home. Opponents fear the change, which still requires final parliamentary approval, could lead to fracking taking place without homeowners’ knowledge. Nick Boles, the planning minister, said in December that having to notify every homeowner was “unnecessarily excessive” and instead, companies would only be “required to publish a notice in a local newspaper and put up site displays in local parishes”. THE SYDNEY MORNING HERALD: Scores of the country's wealthiest people have been caught up in a huge government blitz that has recouped more than $430 million in unpaid taxes and fines last year. High-profile figures recently caught up in the crackdown include racing identity Sean Buckley, art dealer John Ioannou and entrepreneurs Bob Jane and Geoffrey Edelsten, who together have received bills totalling more than $21 million. But the Australian Taxation Office investigation has been criticised by some of its wealthy targets, who claim they are being singled out by hardline and activist tactics that are "grossly unfair". Others have blasted the ATO as the financial equivalent of the Gestapo. The ATO's deputy commissioner, Michael Cranston, said that while most wealthy Australians did the "right thing", the agency's compliance program ensured the country's rich were in fact paying "their fair share". Inside Story: Has Austerity Worked? Challenged over a supposed inconsistency between his rhetoric on of freedom of movement and immigration, David Cameron tells Davos that the EU needs "practical, conservative, common sense"
Bank of England Governor Mark Carney has pledged there will be no “immediate” increase in interest rates as unemployment nudges closer to the 7pc threshold in an apparent softening of his forward guidance policy. He said Bank of England policymakers look at “overall conditions in the whole labour market”, rather than just one indicator, and that any change, when it comes, would be “very gradual”. The governor, who said that the UK economy was "in a different place" to when he introduced the guidance, added: “We don’t see an immediate need to change monetary policy." 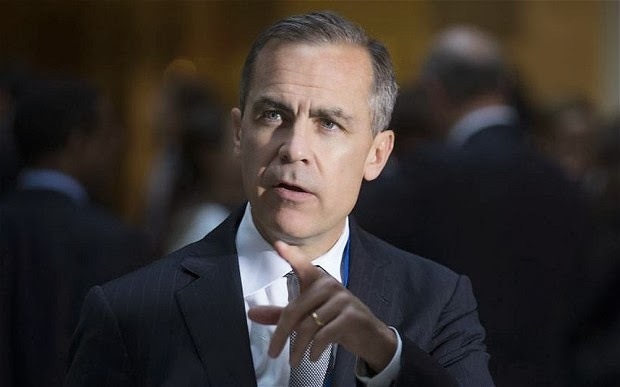 Asked if he would consider lowering the 7pc threshold, Mr Carney added: “There are a broad range of things we could do, I wouldn’t jump to that conclusion … we’re trying to get across is that it’s all about overall conditions in the labour market. No, there is no need for him. He's sitting pretty with his huge salary and exorbitant expenses. The rest of us have to make ends meet from our savings. What a thoughtless, unreasonable man Carney is! Never in my lifetime can I remember not being able to get interest on my capital that at least equates to the rate of inflation, and then some. Does this man have no sense of true capitalism? Does this man have no sense of economic history? BBC: Prime Minister David Cameron has told the BBC that a sustained economic recovery must be one which is balanced between "north and south". Speaking at the World Economic Forum in Davos, the prime minister said that the economy needs rebalancing. He said: "In the case of Britain we need to rebalance our economy and make sure it's a north and south recovery - manufacturing as well as services." But Mr Cameron said that economic recovery will take "patience". The extent to which so much global wealth has become corralled by a virtual handful of the so-called 'global elite' is exposed in a new report from Oxfam on Monday. It warned that those richest 85 people across the globe share a combined wealth of £1tn, as much as the poorest 3.5 billion of the world's population. 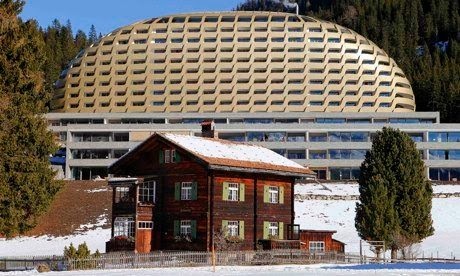 It's a chilling reminder of the depths of wealth inequality as political leaders and top business people head to the snowy peaks of Davos for this week's World Economic Forum. Few, if any, will be arriving on anything as common as a bus, with private jets and helicoptors pressed into service as many of the world's most powerful people convene to discuss the state of the global economy over four hectic days of meetings, seminars and parties in the exclusive ski resort. DIE WELT: Die gemeinsame Währung ist ein mutiges Experiment - das gescheitert ist. 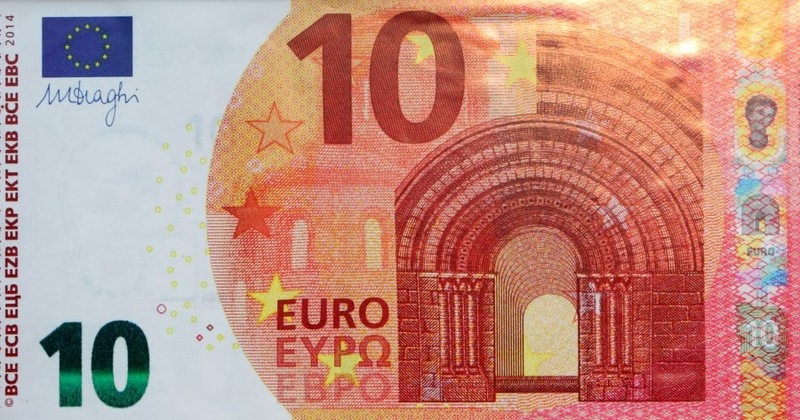 Eine geordnete Euro-Auflösung wäre schmerzhaft, doch weniger traumatisch als die Massenarbeitslosigkeit in vielen EU-Ländern. In the midst of a financial storm, Italians are turning their backs on the designer brands that have made their country world-famous. And they are increasingly turning to Chinese producers for cheap goods, sometimes even labeled 'Made in Italy'. EXPATICA.COM: A Spanish and a French punter on Tuesday shared more than 130 million euros ($177 million) in the EuroMillions draw, with the jackpot swelled after 10 consecutive draws without a winner.